seems like you just celebrated Memorial Day, and before you know what hit you, it's Labor Day and time to send the kids back to school. That gives you just over three months to enjoy the great outdoors with the ones you love. 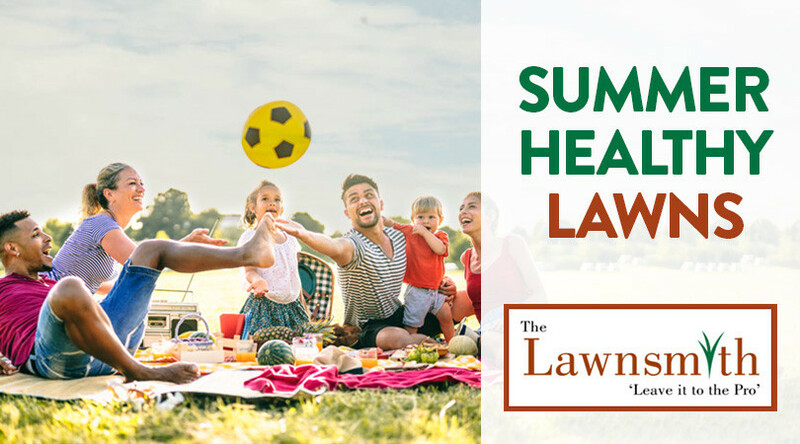 If you would rather enjoy picnics, tossing a ball around, and days at the beach over taking care of your lawn, The Lawnsmith is here to help. Lawn mowing is one of those chores you simply can't ignore. Not only is an overgrown lawn unattractive, it is also unhealthy. Regular mowing gives the soil underneath the opportunity to breathe, which in turn gives your lawn a lush, green appearance. With the limited time you have on summer evenings and weekends, mowing the lawn is probably the last thing you feel like doing. The Lawnsmith offers weekly and bi-weekly services on a day you choose. In addition to mowing, we also trim your lawn and dispose of all the grass clippings. If your lawn is not as healthy as you would like, The Lawnsmith offers numerous one-time or ongoing services to help it look its best. For example, our professional fertilization service improves the health of your lawn this year and ensures that it remains healthy in the future. We visit your home several times to apply fertilizer that helps control crabgrass and weeds. The applications are staggered throughout the summer to allow the fertilizer the chance to penetrate the lawn and soil. This service is especially important to keep insects and pests from destroying your lawn. Some of the other lawn care and maintenance services you may wish to consider includeaeration, dethatching, double aeration and overseeding and power edging. Additionally, we can replace sections of your lawn that are bare or overrun with weeds. Long road trips, an ice cream cone on a hot day, and watching fireworks cuddled together on a blanket are things that kids and adults alike will cherish in the years to come. Summer is short, so leave the lawn care to us and we'll leave the memory making to you. Get a free estimate today, and reclaim your summer time!